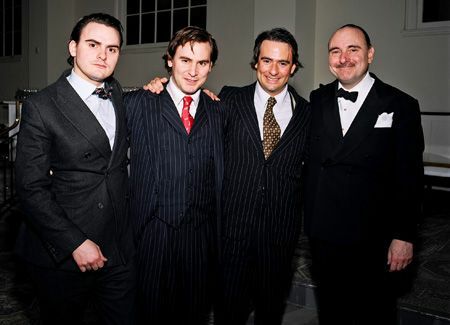 The Rose family (father Herb Rose and sons Bert, John and Louis) are something of a New York institution. Herb’s the director of special events at The Pierre and his hunky sons have gone on (among other things) to transform a stately church on the Upper East Side into one of the classiest event spaces in town. We chatted briefly with Bert about the family biz, 583 Park Avenue and why he loves the UES. How did you and your brother come to take over 583 Park Avenue? What about the space initially drew you to it? My brother, Louis, has a knack for finding these special venues. 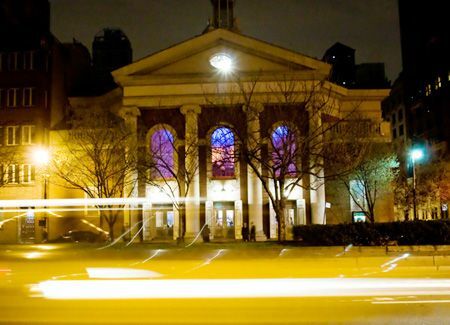 Louis thought up the idea of turning the old Bowery Savings Bank on 42nd Street into an events venue. He brought Cipriani to that space and it is by far the most active and profitable venue they have. After developing a few spaces for the Cipriani family, we decided to create our own company that develops and operates event spaces, called The Rose Group. Our company was hired as a consultant for the banquet department at the Hotel Plaza Athenee on East 64th Street, and while there, my brother Louis learned that 583 Park Avenue was available for rent. Louis reached out to the owner, the Third Church of Christ Scientist, and explained that he would like to rent the space out every day! A long negotiation process ensued and we ultimately came up with a deal that allowed the church to continue to use the building for its religious activity, and when it’s not being used as a church, we could use it as a special events venue. The deal has been a “win win” for all involved as the building needed upwards of $8 million worth of restoration to bring it up to code. What were some of the challenges involved in turning a church into an events space? We had to obtain many approvals, which took a long time, but were all ultimately granted. We had to upgrade the building in such a way that it retained all its original details while incorporating fire safety systems, new electrical wiring, a new HVAC system, new bathrooms and all the Americans with Disabilities Act requirements. We also promised the church that they could continue to use the building while all this went on -- not easy! I read that you and your family are true Upper East Siders to the core. Did you grow up there? And what is it that you love about the neighborhood? We were all born and raised here. All three of us – me, John and Louis – attended the Allen Stevenson School on E. 78th Street. Our parents still live uptown on 90th Street. We love the Upper East Side because it is such a family-oriented neighborhood, and it’s not as busy as the rest of the city. For the most part, unless you live up here there are not too many reasons to come up here. It’s very clean, quiet and it’s chock full of great architecture. People on the Upper East Side truly make an effort to keep their neighborhood safe, clean and family-friendly. What, other than 583 Park, do you and your family own? And how did your family initially come to be involved in some of the city's finest institutions? 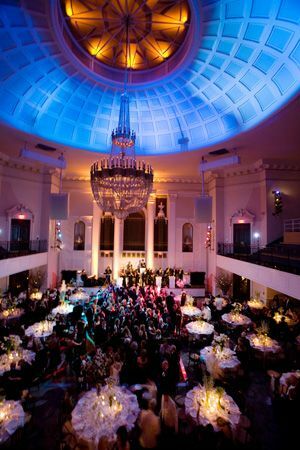 We also operate Guastavino’s, the restaurant group, “D&D London,” formerly known as The Conran Group. We also manage events for the Irish American Historical Society on 84th and Fifth Avenue. Our father, Herb Rose, is the director of special events at The Pierre. It’s through our father that we became involved in this business. It’s been said that our father has “married, bar-mitzvahed or at this point, done both” for most New Yorkers during his 35-year tenure at The Pierre. He opened many doors for us in the business and his reputation has gotten us entrée to some of the finest institutions in the city. When people realize Herb Rose is our father, you can see an immediate sense of comfort come over them when they’re planning on having an event with us. Any upcoming projects, events, etc. you'd like to mention? While it’s not our style to comment on any of our clients’ particular events, I will say that we just had our best November ever. December is booked with some really exciting holiday parties and our Spring is really looking good, contrary to what’s been going on with the economy. One of my favorite events we have coming up is the Oscar de la Renta show on December 8th. We have an exclusive arrangement with them and feel truly honored that Mr. de la Renta decided to make 583 Park Avenue his home for all his shows. He always does something different, so it’ll be a real treat to be able to be part of it. What legendary New Yorker, dead or alive, would you want to have dinner with? And where and what would you eat? My father, at Gino’s (it’s our favorite place) on Sunday -- it’s lasagna day! Pictured at top, from left to right, Bert, John, Louis and Herb Rose; pictured below is 583 Park Avenue.